SINGAPORE, 28 January 2014 – Singapore Changi Airport registered a strong performance in 2013 to set new benchmarks for passenger traffic and aircraft movements, handling a record 53.7 million passengers and 343,800 landings and take-offs during the year. This was an increase of 5.0% and 5.9% respectively. On the cargo front, airfreight movements were stable at 1.85 million tonnes for the year. 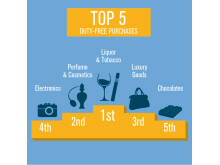 In the month of December 2013, Changi Airport welcomed 5.12 million passengers (+4.1% on-year), the first time the airport handled more than 5 million passengers in a month since it opened in 1981. 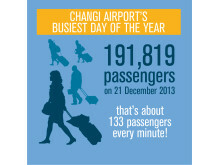 Changi Airport's daily record was also broken on the Saturday just before Christmas (21 December 2013), with 191,800 passengers and 1,100 flights registered during the 24 hours. As at 1 January 2014, Changi Airport handles more than 6,900 weekly scheduled flights with more than 100 airlines connecting Singapore to 280 cities in about 60 countries around the world. 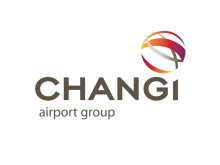 Changi Airport’s full year passenger, cargo and aircraft movement statistics are provided in Annex A and are also available at http://www.changiairportgroup.com/cag/html/the-group/air_traffic_statistics.html. Changi Airport’s passenger traffic growth in 2013 was driven by strong travel demand within the Asia Pacific region. Traffic to Southeast Asia and Northeast Asia, which accounts for close to 70% of Changi Airport’s total, rose 8.2% and 7.0% respectively. Indonesia continues to be Changi’s top country market, with more than 7.4 million passengers passing through during the year, an 8.8% increase. 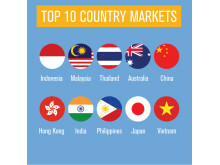 The new bilateral air services agreement that Singapore and Indonesia forged in February 2013, provided new opportunities for growth, especially on the Singapore-Jakarta route, the second busiest international route in the world. Airlines also added services to and from emerging secondary cities such as Bali, Medan and Surabaya, offering travellers a superior transit experience and a much wider offering of destinations available through Singapore. Jakarta again topped the list of Changi Airport’s busiest routes followed by Bangkok, Kuala Lumpur, Hong Kong and Manila (see Annex B). Denpasar-Bali continued to be hugely popular with travellers, registering a robust increase of 17% year-on-year, the fastest growing among the top 10 routes. 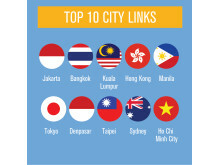 Traffic growth of 15% brought Taipei into the Changi Top 10 for the first time. 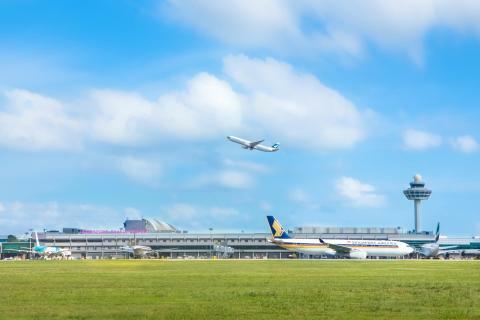 During the year, Changi Airport enhanced its global network with the addition of seven new Chinese city links (Guilin, Jinan, Lijiang, Nanchang, Nanning, Ningbo and Wuxi), bringing the total to 31 and accentuating its position as the most connected Southeast Asian air hub to China. Besides the new Chinese cities, Changi’s connectivity was also enhanced with the launch of new services to Mandalay in Myanmar, Kalibo in the Philippines and Addis Ababa in Ethiopia. Five new carriers commenced operations at Changi Airport in 2013. The arrival of Ethiopian Airlines connects Singapore to East and Central Africa via Addis Ababa while the return of SWISS boosts Changi’s connectivity to Europe. The other new airlines were Golden Myanmar Airlines as well as two Bangladeshi carriers, United Airways and Regent Airways. Changi Airport’s total cargo throughput for the year was stable, increasing 0.8%, as stronger imports outweighed slower exports and transshipment volumes. There were also some bright spots in niche cargo segments such as perishables and pharmaceuticals which continued to grow in 2013. The recovery of the global airfreight industry remains fragile and potential growth in cargo volumes, if any, will be amidst a challenging environment as global consumer demand and cargo yields continue to remain depressed. In light of this, Changi Airport Group (CAG) will continue to extend support to its air cargo partners through the Changi Airport Growth Initiative for the financial year ending 31 March 2015 (FY14/15). All scheduled freighter flights at Changi Airport will enjoy a 50% landing fee rebate and cargo tenants leasing CAG cargo facilities at the Changi Airfreight Centre will enjoy rebates based on cargo tonnage handled, up to 20% of their rentals. Together with other growth incentives available to freighter airlines, CAG’s support package for the cargo industry will amount to S$18 million for FY14/15. Singapore Changi Airport was named the World’s Best Airport at the 2013 Skytrax World Airport Awards, an honour that Changi has achieved four times. This accolade highlights another year of excellence during which Changi received a total of 30 awards including Business Traveller’s Best Airport in the World award for the 26th year running. 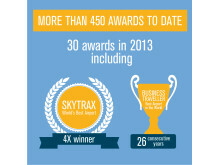 The full list of accolades received in 2013 is available at www.changiairport.com. 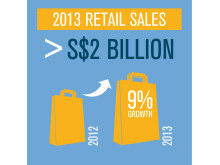 Mr Lee Seow Hiang, Chief Executive Officer, Changi Airport Group said, “2013 has been another good year for us. With steady growth, Changi Airport now serves more than 53 million passengers a year and this places Changi Airport among the five busiest international airports in the world. We thank the 32,000-strong Changi community for their hard work and dedication to service excellence, ensuring that we continue to deliver the Changi Experience to our passengers every day, throughout the year. “In the near-term, traffic growth at Changi Airport is not expected to be as robust as what we had experienced in the recovery following the global financial crisis in 2008/09. However, we will continue to work with current and potential airline partners to explore market opportunities to ensure sustainable growth over the long-term. Hence, even as we continue to invest in our ongoing operations, we have also embarked on major infrastructure projects like Terminal 4, Project Jewel and Changi East to prepare Changi Airport for the future. Changi Airport (www.changiairport.com) is the world’s most awarded airport with more than 450 accolades received since it opened in 1981. 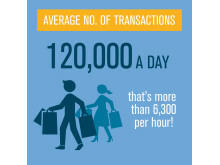 To serve passengers and visitors from the world over, there are over 350 retail stores and 120 F&B outlets across the airport's three terminals. 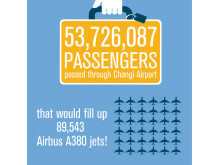 Changi handled more than 53 million passenger movements in 2013, an annual record. 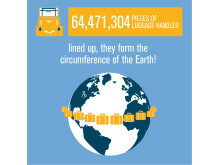 Today, it serves more than 100 airlines flying to 280 cities in about 60 countries and territories worldwide. 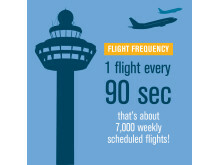 A flight takes off or lands at Changi roughly once every 90 seconds. Singapore Changi Airport handled 4.33 million passenger movements in January 2013, an increase of 1.9% compared to a year ago. 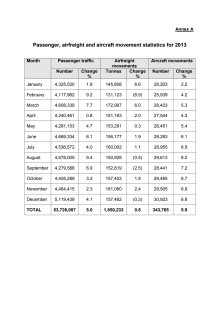 Air traffic movements for the month grew in tandem by 2.2% to 28,200 flights. The Lunar New Year holidays in January last year meant that there was a higher traffic base which affected the magnitude of growth last month. Singapore Changi Airport handled 4.46 million passenger movements in November 2013, an increase of 2.3% over the same month last year. In the first 11 months of the year, more than 48.6 million passenger movements were registered, a 5.1% increase on-year. Passenger traffic at Singapore Changi Airport grew 3.2% on-year in October 2013, with 4.41 million passengers passing through the airport. Aircraft landings and takeoffs rose by 6.7% to 29,500. In terms of airfreight movements, Changi Airport handled 157,400 tonnes of cargo, an increase of 1.8% compared to a year ago. Singapore Changi Airport handled 4.3 million passenger movements in September 2013, an increase of 6.9% over the same month last year. In terms of flight movements, 28,400 landings and take-offs were recorded during the month, a growth of 7.2%. On the cargo front, 152,800 tonnes of airfreight were processed at Changi Airport in September 2013, a decrease of 2.5% year-on-year. 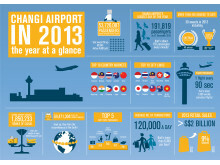 Singapore Changi Airport handled 4.68 million passengers in August 2013, an increase of 9.4% on-year. Air traffic movements grew correspondingly, with a total of 29,600 landings and take-offs recorded during the month, or 8.2% more compared to a year ago. In terms of airfreight, 151,000 tonnes of cargo were processed at Changi Airport last month, a slight decline of 0.5% year-on-year. Singapore Changi Airport handled some 4.54 million passenger movements in July 2013, an increase of 4.0% compared to a year ago. Air traffic movements for the month also grew by 6.9%, with 29,000 landings and take-offs recorded at Changi. Airfreight movements increased by 1.1% on-year, with 160,000 tonnes of cargo passing through Changi Airport during the month. SINGAPORE, 23 July 2013 – Passenger traffic at Singapore Changi Airport increased 6.1% in June 2013, with 4.67 million passengers passing through the airport. This marks the highest number of passenger movements Changi has handled in a month this year. In terms of flight movements, a total of 28,300 aircraft landings and take-offs were recorded, a growth of 6.1% year-on-year. Singapore Changi Airport handled 4.28 million passenger movements in May 2013, a growth of 4.7% compared to the same period in 2012. Flight movements increased by 5.4% to 28,500. 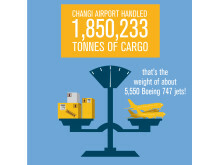 During the month, 147,600 tonnes of cargo were handled at Changi, 3.5% less than a year ago. Singapore Changi Airport handled 4.24 million passenger movements in April 2013, an increase of 0.8% over the same period in 2012. Flight movements increased by 4.3% to 27,500. In terms of airfreight movements, 145,600 tonnes of cargo passed through Changi last month, 1.8% lower than a year ago. Singapore Changi Airport achieved its highest passenger traffic ever for the month of March when it registered 4.61 million passenger movements in March 2013, an increase of 7.7% over the same month last year. Holiday makers travelling over the Good Friday long weekend and the weekend prior contributed to the traffic growth. 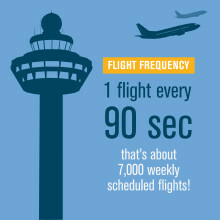 In tandem, aircraft movements grew by 5.3% to 28,400 flights.